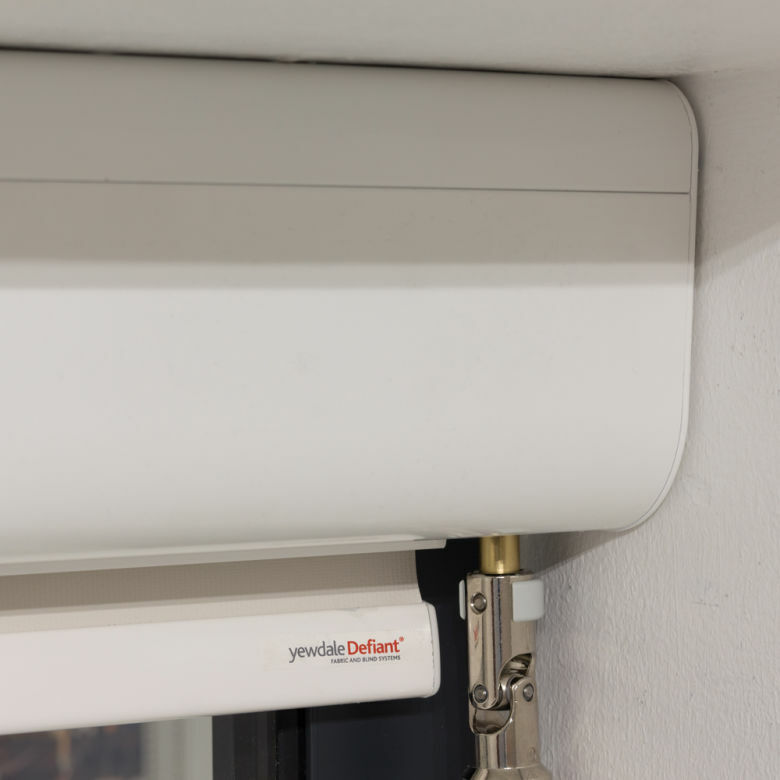 The YewdaleDefiant® C24 crank control cassetted blind features a compact, robust 1:3 gear mechanism operated by a detachable crank handle. 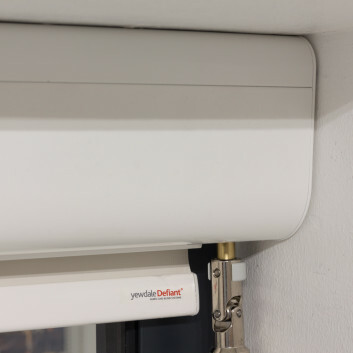 The cassette is designed for top or face fixing and accommodates 45, 53 or 70mm grooved aluminium barrels, depending on blind size and fabric weight. The fabric is locked into a groove in the barrel. 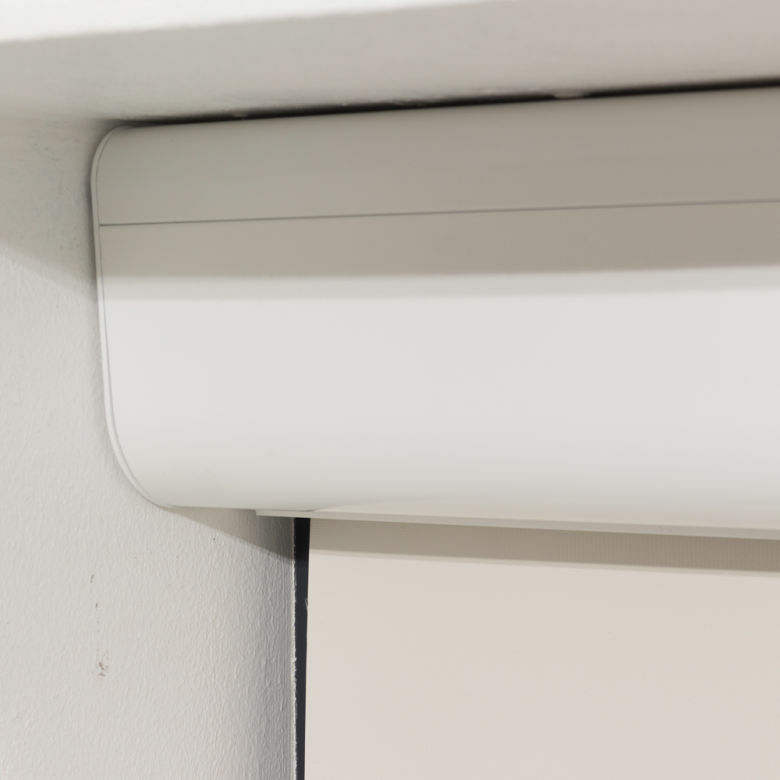 It has an aluminium Tear Drop bottom bar and black or white hardware as standard. 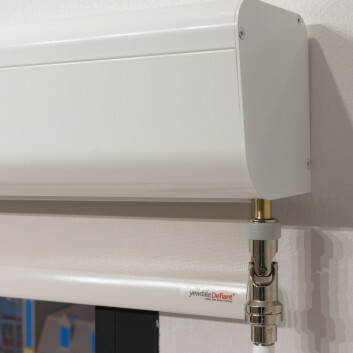 Durability and simplicity make the C24 a good choice for a vast range of applications. With its aluminium construction and powerful gear controls it will perform dependably in all kinds of contract applications. 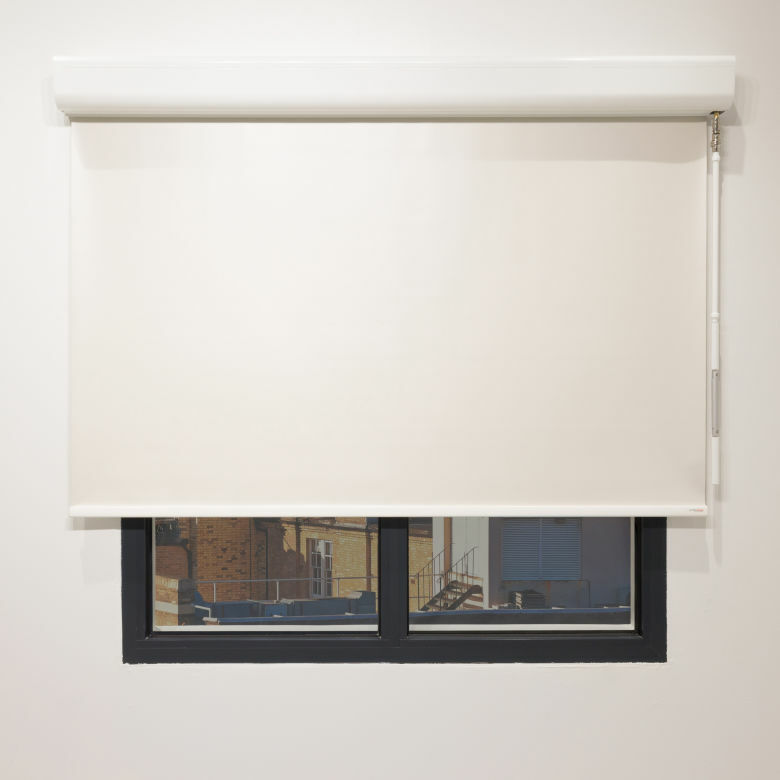 The geared crank handle and mechanism ensures smooth blind control and is safer for areas where cords are a threat. Fabric is locked into the barrel and bottom bar and supported by sturdy supports. Black or white hardware; With side channels, C44-90/120; Fixed crank handle; Tracker fabric retaining system; Available in any RAL colour. 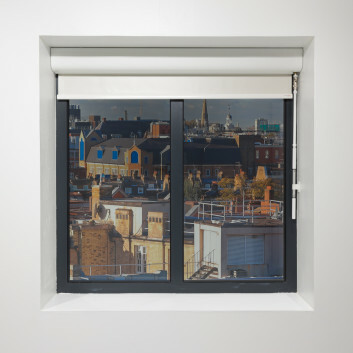 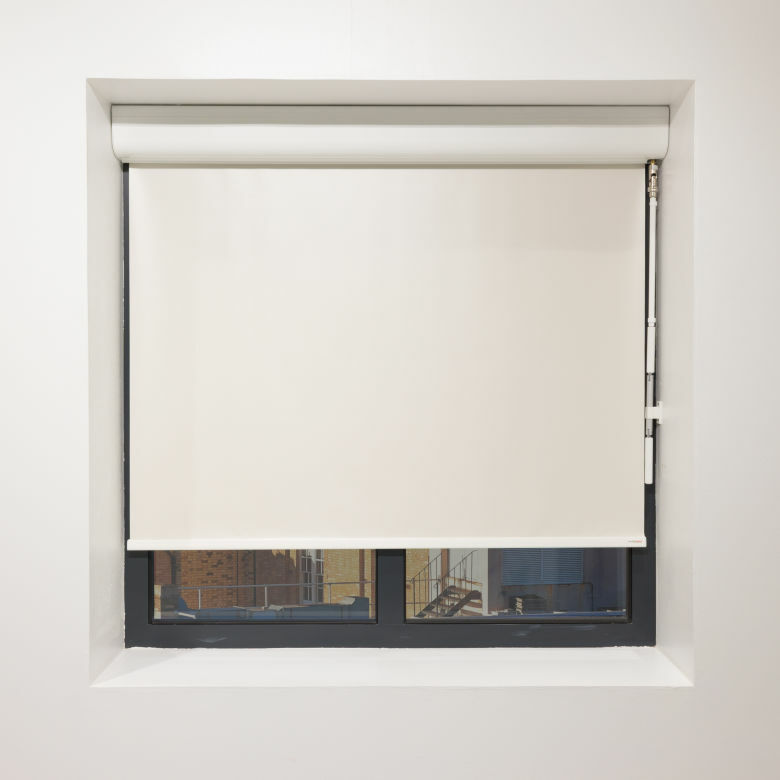 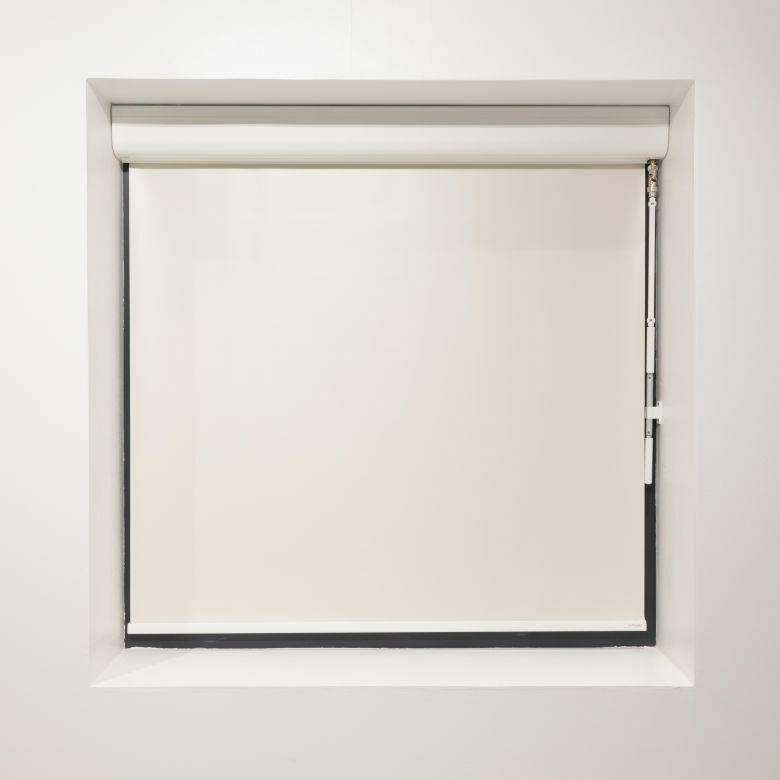 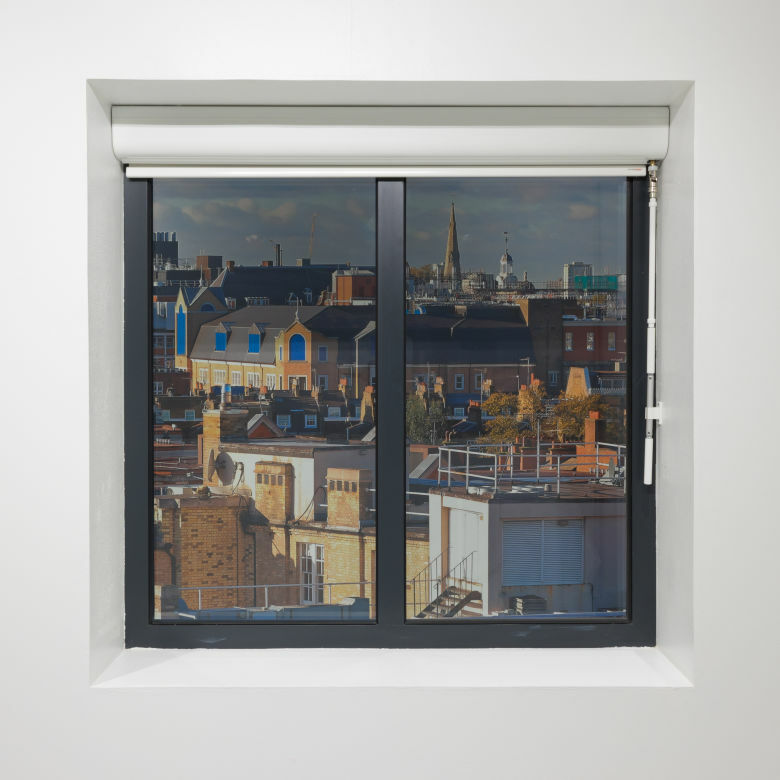 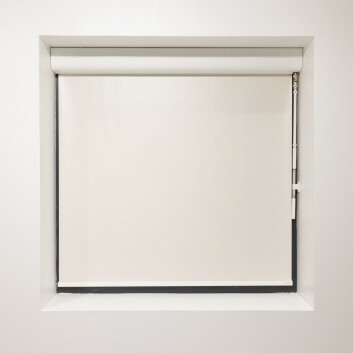 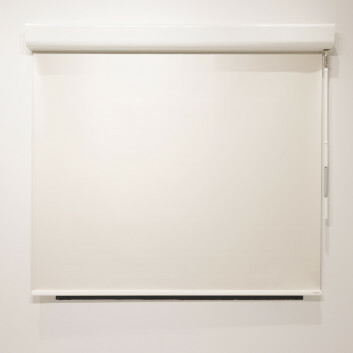 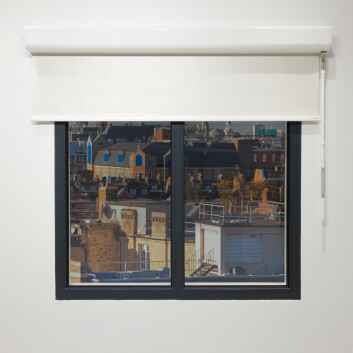 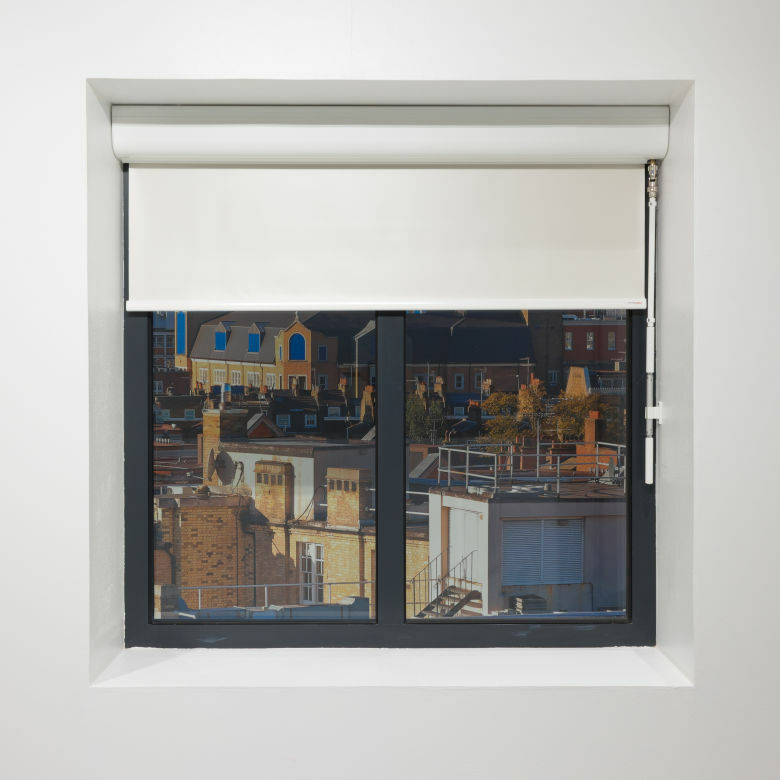 YewdaleDefiant® C24-90/120 crank control cassetted blind as manufactured by Yewdale, +44 (0)1268 570900. Flame retardant fabric from the YewdaleDefiant® range, locked into grooved 45/53/70mm aluminium barrel along with aluminium bottom bar as standard. 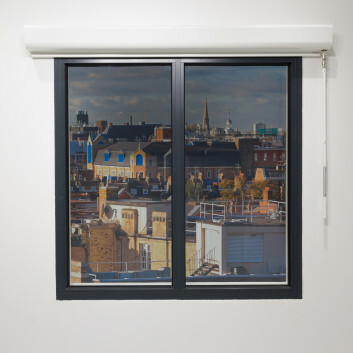 Robust vandal resistant 1:3½ crank mechanism and pin end housed within black/white aluminium cassette, supported by sturdy brackets.